When you require top quality garage door repair in Tulare so that your garage door works properly, turn to Tulare’s trusted garage door experts. We provide a full service that is done right every time. If you have a small garage door repair issue, get it taken care of as soon as possible to avoid a small defect creating a much larger, and more costly garage door issue in the future. When choosing a garage door professional to deal with your repair issue in Tulare, support Tulare’s local economy by going with a local company. Our team is made up of your neighbors. A Veteran Owned Business, we hold the quality of our work and our customers’ satisfaction in the highest regard. We believe that our reviews across the internet speak for themselves, and hope you’ll choose us for your garage door repair or garage door installation. Garage Door Repair and Installations Company has 24 years of garage door experience. 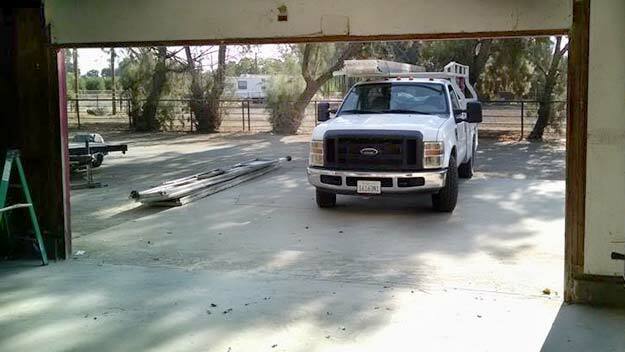 We know what we’re doing when it comes to taking care of Tulare’s garage door repair and garage door installation. Our friendly team is always on-time for our appointments, sometimes even early, and we won’t consider a job complete until you are completely satisfied. On top of this, we include a free LUBE-N-TUNE UP with all service. If you have a damaged or broken garage door spring, call Garage Door Repair and Installations Company to have that repaired right away before it causes further damage to the garage door rails or even the automatic garage door opener. Many times, we can offer 24/7 Emergency Service, and offer Same Day Service for extraneous circumstances, so call us today. That’s right. We offer a five year warranty on our garage door spring work. We are confident you will be very happy working with our garage door technicians. We solve a variety of issues and can repair all makes and models of garage doors and garage door openers. We keep our trucks stocked to the brim with every possible repair part, assuring your job is handled quickly and without unforeseen delays. Give us a call if you are in Tulare and need garage door repair, garage door installation, or more. We offer a plethora of garage door services and with our 24 years of experience have seen about every possible issue. Our garage door experts are prepared to handle your garage door needs.